The spring real estate market is just around the corner. 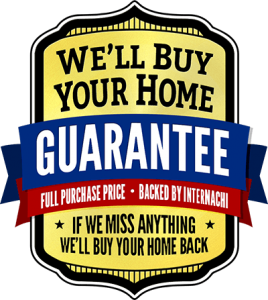 If you’ve been thinking about selling your house, now is the time! Attracting spring buyers means getting your house and property in order. We’ll review how you can make your home attractive to spring buyers. 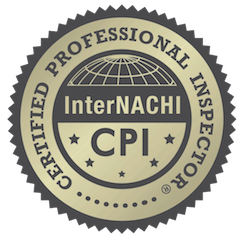 Getting a Move-In Certified™ inspection from Shacks & Shanties Inspection Services will identify issues that could potentially sink your sale, or cause you to come down on your asking price significantly. 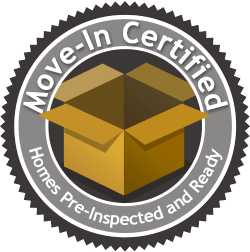 After receiving your Move-In Certified™ inspection report, you can begin to prioritize items that need to be addressed. Many issues that are called out in a home inspection – and that may sink your sale or lower your selling price – are quick and inexpensive to fix. 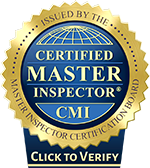 If something major does come up in the Move-In Certified™ inspection, you’ll have time to get competitive bids from contractors and budget for the repair. 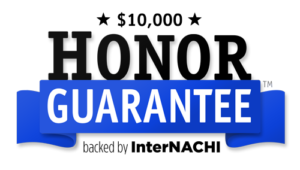 Investing in a Move-In Certified™ inspection will typically cost between $350 – $750. Considering that statistics show that Move-In Certified™ houses typically sell faster, and that sale prices are higher – it’s money well spent. A real estate agent can make or break your sale. For the best chance at selling your home, you really need to work with an agent. When deciding who to hire, don’t be afraid to ask tough questions right off the bat. According to realtor.com, a competent agent will know their selling stats, and avoiding questions about them may be a reason to consider a different agent. Also, ask about how they plan to market your house if they are given the listing: Where and how will they provide exposure to potential buyers? How much do they plan to spend on marketing your home? Look at what the agent has done for their other listings. A great real estate agent will be willing to spend time with you to and be your guide through every step of the process. And the process starts before you list your home, and continues through the listing period, parsing offers, the closing and beyond. If the agent is not willing to make themselves available to you before, during and after the sale, you may want to look elsewhere. Staging your home does help sell your house faster. If your house is more appealing to buyers, then you have an edge up on other sellers of similar properties. Having a professional home staging expert make your home look its best for buyers could set you back by as much as $500 to $5,000. However, you can probably stage your own home with a few tips. The key to staging your own home is being able to put your mind outside of yourself and remain objective. The pink and purple bathroom may be just your thing; but honestly – most buyers are going to cringe when they see the pink wallpaper with purple plaid. The interior may look like a Better Homes & Gardens photo spread; but buyers have already processed their first impression and made judgement before they even walked through the front door. The outside approach to the front door is forgotten, or deemed unimportant by many sellers. That just isn’t the case. Buyer’s should feel warm, welcome and safe as they drive up and then walk to the front door. Clean the sidewalks and walkways; trim all vegetation and get rid of weeds. If weather permits, invest in some brightly colored flowers or shrubs. If your porch is large enough, dress it up with a small table with a vase of flowers, and a couple chairs or small bench. You can expect to get full return on money spent to improve the home’s curb appeal. The house should be “show-ready” at all times. Never keep a buyer waiting, or put them off to another time, to view your house. The kitchen can sell the house – that’s how important a good impression is. The quickest, easiest and most inexpensive kitchen updates include painting and new cabinet hardware. Use neutral paint colors. Buyers should be able to envision the room with their own style added. Avoid strong or loud colors to interfere with the buyer envisioning the room as their own. To make your house more attractive to buyers, take the “home” out of your house. Again, you want buyers to be able to see themselves living there. Having family photos, and personal knickknacks around make it hard for buyers to envision their own families living there. Not everyone wants to see Elvis memorabilia on the living room walls (who knew, right?) As a rule of thumb, pack away about a third of your belongings and put them in storage, ready for when you sell your house, fast. Fast and easy fixes and small projects to “freshen up” the house will pay off; big major makeovers – not so much. You likely won’t get your money back on a whole kitchen and bathroom remodel just before listing your house. However, think about a fresh coat of paint, cleaning the curtains (or buy some new, inexpensive ones,) replacing small hardware for cabinet doors and doorknobs, and steam cleaning tile and grout. The dog loves everyone, the cat is friendly – no one will be bothered by them. Wrong! Buyers don’t want to tour the house with a dog underfoot, or even worse – barking its fool head off in the backyard. Dog food bowls and litter box odors are not attractive to buyers. Neither are tufts of pet hear stuck to their clothes. When buyers are viewing the house, send Fido and FiFi to someone who can watch them for you, or take them for a ride. Maximize the light in your home. Having a lot of natural light is second only to location as the one thing buyers really want in a home. Make sure windows are clean and remove heavy drapes. If the house tends to be dark, paint the walls a light color, change dark lampshades, and increase the light bulb wattage. Also, trim away bushes and low hanging tree limbs that may be blocking natural light. Finding ways to help your house look bright and airy will go a long way toward making it more attractive to buyers. Storage is another thing that is high up on a buyer’s wish list. Clean out the closets and cabinets. Take out everything that you don’t need on a daily basis. Closets and storage cabinets that are half empty leave an impression of more storage space than if they are crammed full of stuff. Storage space is something every buyer is looking for and can never have enough of. Take at least half the stuff out, then organize what’s left.